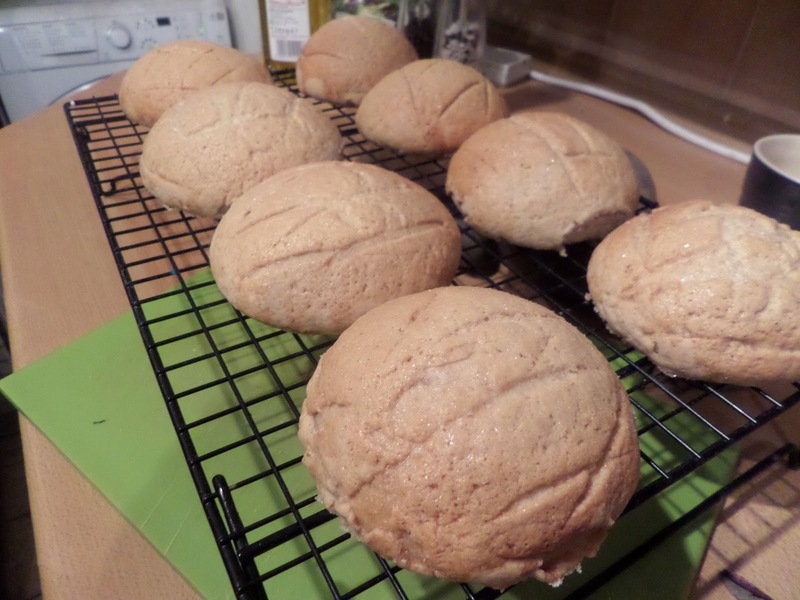 Melonpan is a Japanese bread bun that’s wrapped in cookie dough! Mix the dry stuff together. Cream butter and sugar, beat in the egg & vanilla, fold in the dry stuff, chill until needed. 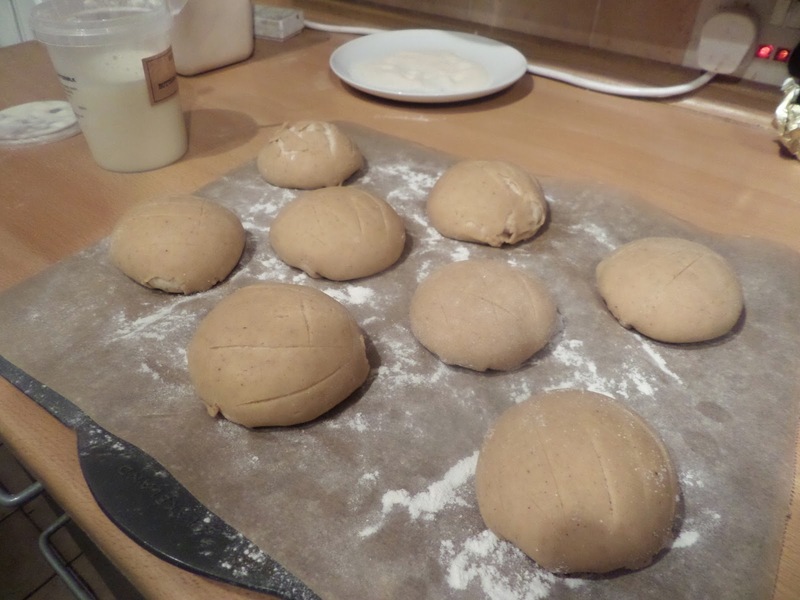 This should be enough for 10 small buns, but eight is easier for dividing and baking, so that’s what I’m going for. So eight balls of bread dough get covered in rolled-out cookie dough. The balls get rolled in sugar, then a cross-hatch pattern cut in them. Then they get a final one-hour proof. That doesn’t work: the sugar doesn’t stick. So I brushed with buttermilk (as I had some real stuff from the Food Assembly that needed using up) and sprinkled with sugar. After the final proof it’s into a 160C fan oven for 15-20 minutes (maybe a little longer as I’m doing slightly bigger buns) until the tops are nicely golden coloured, and the bread hits 90C inside. In the end it was 35 minutes, including turning, to try and get some colour on all the buns. 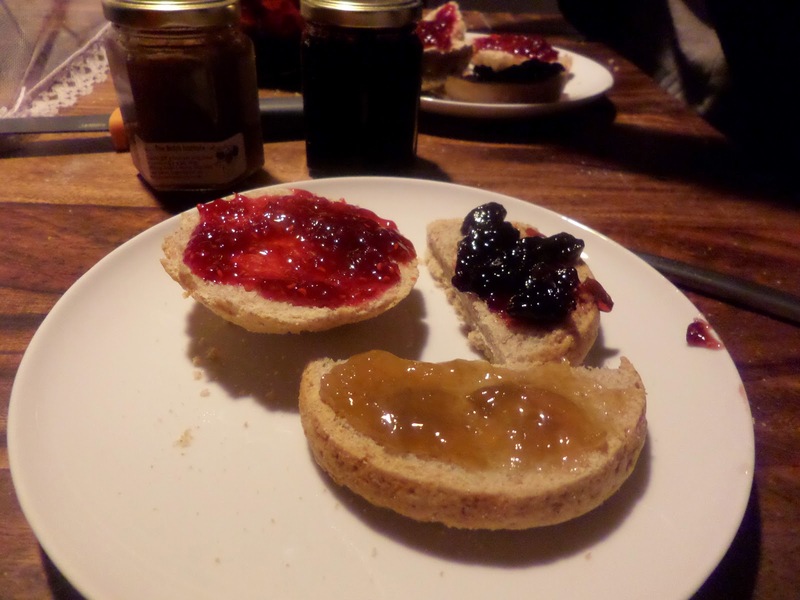 We’ll try them plain, then proceed to try with various jams. We’ll eat with jams. 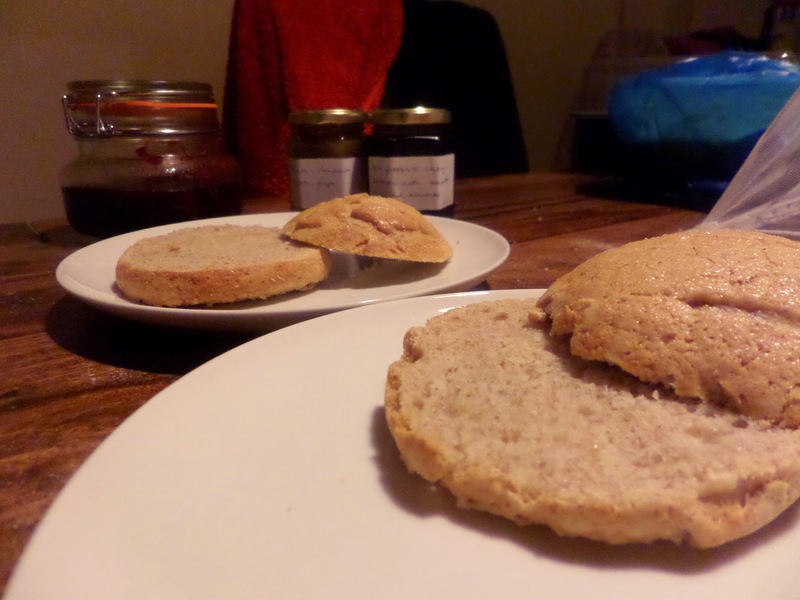 Homemade and from the local Food Assembly. Strange but delicious! It doesn’t taste like two things mashed together, just a bread with a really sweet, crispy crust. Unusual but worth the experiment, when you’ve got the time.